I can't believe it's the end of 2015 already. I set and accomplished some big goals this year, and I'm pumped about how well everything turned out. Reading other blogs recently made me realize I enjoy 'end of year highlight' posts, and Cathryn and Jen did such a lovely job on theirs that I was inspired to write one using a similar format. Here we go! There were many, many awesome race experiences this year and it's extremely hard to pick, so I'll focus on races where I met big goals. The first highlight is the Skyline to the Sea 50K, which I ran in October as my first 50K ever. I'd been wanting to get into the ultra distances for a couple of years, but my hip injury in 2014 set my progress way back. I'm thrilled that I had a great training cycle, made it to the start line healthy, and enjoyed every mile of that event. There were a couple of things (getting lost and heat) that slowed me down more than I wanted, but all in all it was a successful day with beautiful trails and run friends. 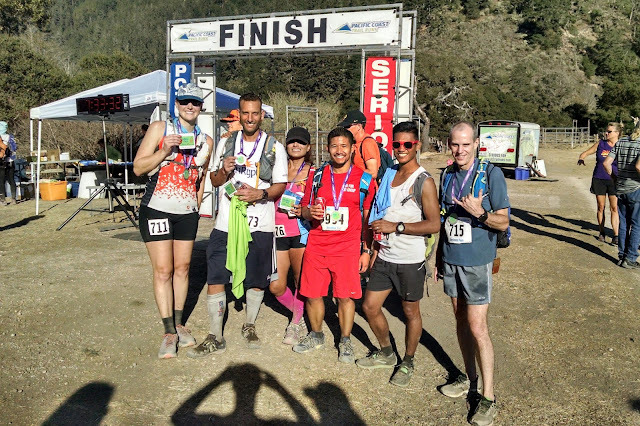 Go Far Run Group S2S finishers - most of us did our first ultra! RunHub shakeout group run in Eugene. The first person that comes to mind is Devon Yanko, Bay Area local and badass ultrarunner. I knew of her before she joined the Oiselle Haute Volée, but I love that she joined and that I was able to meet her in real life. When not running, she owns and works at the bakery, MH Bread & Butter, in San Anselmo. I highly recommend eating there! As for why she inspires me, it's simple. She works hard, trains hard, and doesn't give up. Devon also won the Javalina Jundred this fall, a must read story documented on her blog. I'm excited to follow her journey and to see what races she rocks in 2016! This is another prompt where there are too many good answers, although one run that stands out is the Go Far destination trail run in Marin. I obviously love running in Marin, and running there with so many run group friends was fantastic. We took our time, enjoyed the views, and ended the morning with lunch at Cafe Del Sol. Perfect. 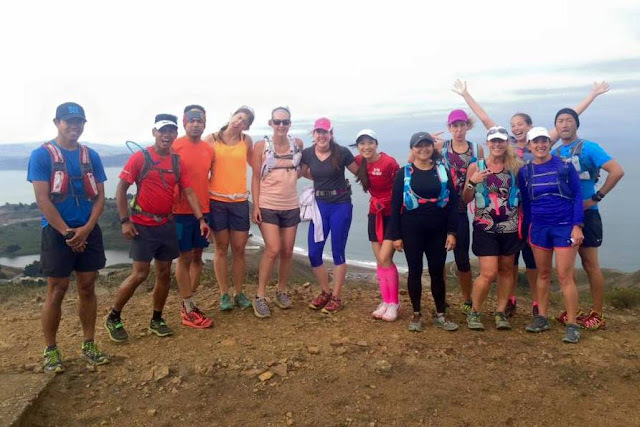 The group tries to do one destination trail run (not in our usual locations like Rancho San Antonio and Quicksilver) each month and they are always a blast. In my case, advice wasn't given but instead observed in action. While volunteering at Western States this year, I saw a lot of people come into the aid station in rough shape. I also saw many of them rally to keep running...and finish 100 miles. The lesson here was how much ultrarunning (and any running, really) is about problem solving. Think through it, don't get taken over by 'I can't' thoughts, and figure out what your body needs to feel better. This completely changed my mindset going into my longer events this year at the SF Marathon, Headlands Marathon, and the 50K - and I'm positive I handled things better than I ever could have in the past. The most exciting moment of the year was watching 70 year old Gunhild Swanson finish Western States with only 6 seconds to spare. The Golden Hour in itself is exciting, but the atmosphere gets more electric as the minutes tick down to the 30 hour cutoff. Announcers had been updating us on Gunhild; she had to push it from the last aid station at Robie Point, which would not be an easy thing to do after almost 100 miles. When she hit the track, people who had been standing on the field started following beside her on the grass, the entire stadium moving in unison. Those of us in the bleachers were screaming our heads off and fighting back tears (not just me, right?) When she crossed the finish line, the crowd went crazy. It's a moment I'll never forget. 2015 is my highest mileage and climbing year to date, with 1267 miles run and 115,935 feet climbed as of today. I didn't have a specific goal for these stats, but I enjoy seeing the numbers at the end of the year thanks to Strava. This is the year I began running with Go Far Run Group regularly, and what a difference this has made in terms of staying accountable to workouts and believing in myself. I owe much of this year's success to my support crew in Go Far and was honored to be voted 'Go Farian of the Year' alongside Marcia and Stanton. I also continue to run with friends I met via other channels and joined the Bay Birds Racing team based out of SFRC in September; I look forward to getting to know the team more in 2016. Thank you to all of these groups and running friends for being so supportive. Cheers to a fun 2015, and I'm looking forward to more trails in 2016! Congrats on a great year! Hope 2016 is even better! 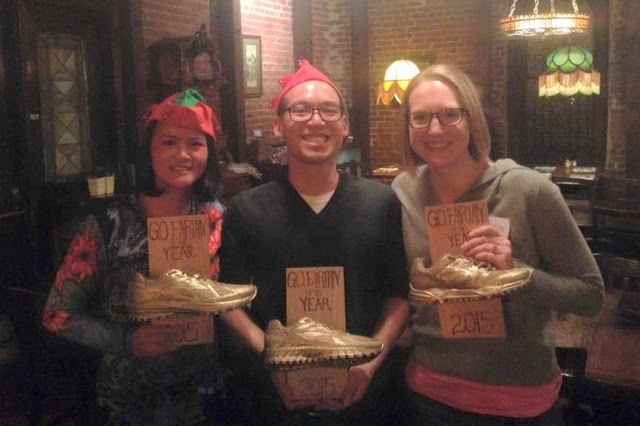 What a great year of running you have had! I love running down a trail after a long climb! It feels like I'm flying! Congrats on a great year! 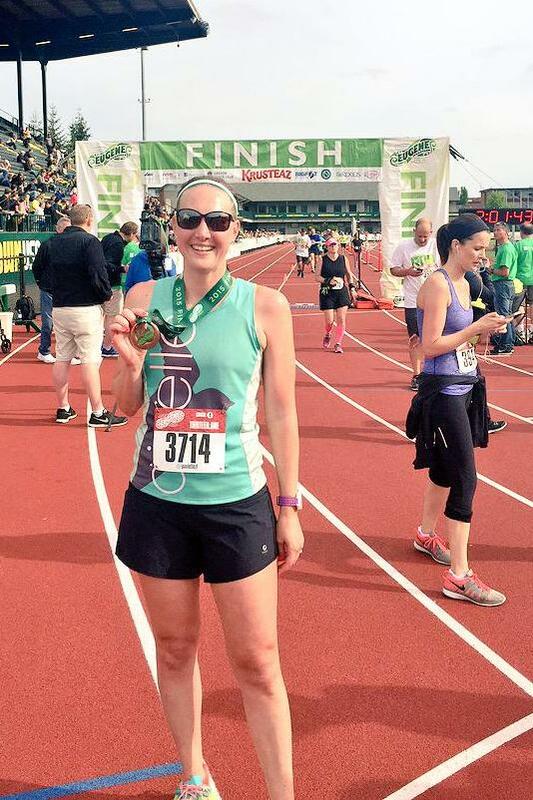 Hope to share some miles with you in 2016!